Are you trying to decide what kind of law you want to practice after law school? One type of law that is often overlooked or not thought of as a subtype of the legal profession is appellate law. If you like research and want to be an advocate as part of your legal career, then appellate law may be for you. Although all cases are initially tried at the trial court level, the losing party may appeal his case to higher courts known as appellate courts. An appellate attorney concentrates his practice on advocating cases before state and federal appellate courts, including state supreme courts and the United States Supreme Court. Appellate attorneys seek to correct errors of trial court judges and change the law by persuading appellate courts to overturn lower court decisions or to expand or change the interpretation of statutory law. The challenging part of appellate law is that you start with a case that has already been unsuccessful once in the lower courts. Your job is to come from behind and earn something for your client, whether it is a new trial, the client’s freedom, or something in between. 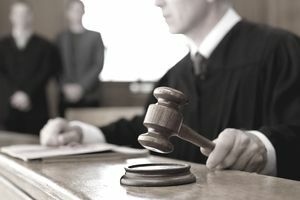 Appellate attorneys review and analyze trial records and other documents, research and analyze case law, draft persuasive briefs and appellate documents, advocate in appellate courts before appellate judges, and assist trial counsel in framing issues at trial and in preserving the record for appeal. What is important to remember about appellate attorneys is that they are never the first set of eyes on a case. In most cases, appellate attorneys are revisiting a case that occurred years before. Because of the unique nature of appellate law, research is done on a very regular basis, as appellate attorneys have to dig into the past to find new information regarding their cases. After being an appellate attorney for a certain number of years, there is always the potential to advance and become an appellate judge. To become an appellate judge, an appellate attorney generally must have at least a decade of experience practicing law. In some states, there may be a requirement that the person already has some experience as a judge, as well. Then, the prospective appellate judge must end up on a short list of the state’s governor’s office. State governors recommend prospective appellate judges to the state bar association. Once appointed, appellate judges begin hearing cases in appellate court. Appellate judges also serve in the federal system, where they are nominated by the President and confirmed by the Senate. Appellate attorneys possess a J.D. and usually have significant trial experience. Exceptional research, analytical, and writing skills are necessary to write concise and persuasive briefs, legal memoranda, and other documents. Other skills include broad and practical knowledge of numerous substantive areas of law, familiarity with appellate practice, excellent interpersonal skills, and superior oral advocacy skills. There are many upsides to working in appellate law. Appellate law sharpens research skills and hones a specific skill set for those who practice it—skills that may lead to becoming a judge one day. Don’t discount this unique field of law when deciding the direction of your legal career.